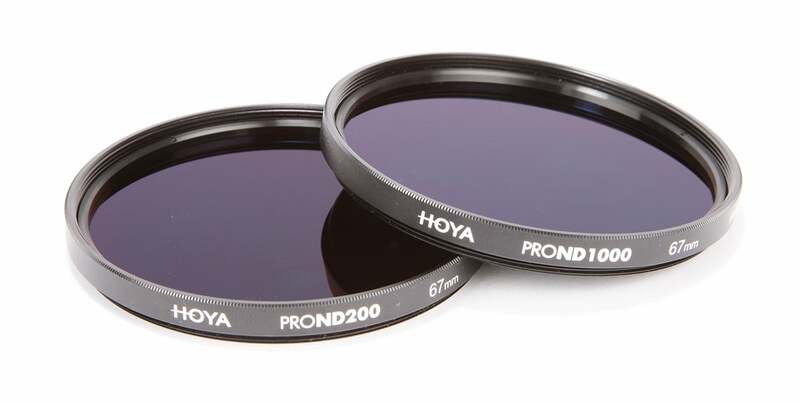 A neutral density (ND) filter is an optical filter to reduce the brightness of the camera’s view without affecting colour or saturation. It exists as a conventional screw-in filter that you attach to the end of a lens, as a drop-in filter for some lenses where it’s not possible or convenient to use conventional screw-in filters and it can also be built in to the camera and selectable from a camera control or even automatically. But in a time where camera manufacturers and photographers are seeking the ultimate in low light performance, why would you want to use a neutral density filter to darken things? There are times when, for creative purposes, you will want to use a wide or even a maximum lens aperture. This could be, for example, to limit the depth of field and achieve a great de-focused background which we would describe as nice ‘bokeh’. In bright conditions this would require a correspondingly fast shutter speed in order to avoid over-exposure. While some cameras can boast shutter speeds of up to around 1/8000th second, many can’t. An ND filter can reduce the brightness and so help you to avoid running out of shutter speed. From another perspective you may want to deliberately reduce the shutter speed to achieve long time exposures and capture the dreamy effects this technique offers. Stopping down your lens may not be enough. In recent times the so-called ‘Big Stopper’ ND filter has come to the fore. While typical ND filters reduce light transmission by 1, 2 or even 3 stops and more (respectively 1/2, 1/4, and 1/8 light transmission and correspondingly called ND2, ND4 and ND8 types, etc.) a Big Stopper reduces the light by 9 or 10 stops (ND512 and ND1024, or commonly referred to as ND1000). Don’t confuse a neutral density filter with a polarising filter, which can be used in a similar way but can introduce both desired and undesirable side effects, like uneven density of blue skies.